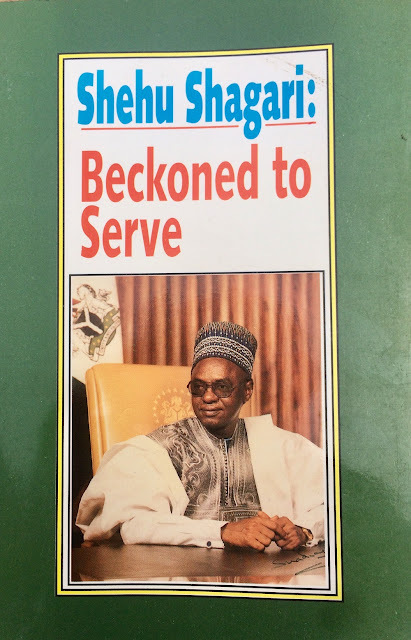 Shehu Shagari: Beckoned to Serve is the life story of Alhaji Shehu Usman Aliyu Shagari, first democratically elected Executive President of the Federal Republic of Nigeria. The book documents Shehu Shagarils experience from early childhood until he rose to become the Executive President of Africa's most populous democratic nation between 1979 and 1983. Written in lucid prose and free-flowing style, the book exposes various aspects of Shagari's ascinating profile as the humble son of a village chief, dedicated schoolteacher, modest political activist and committed democrat and nationalist. We also see his deep love for his people and fatherland, expressed in his many years of public service to the nation in various capacities at all tiers of governance since the pre-independence period. As a historical document, Beckoned to Serve outlines the story of Nigeria's transformation from colonial rule and the rigorous struggle to build a viable, stable and sustainable developed country with democratic institutions and strong values. As a political document, the book defines and exposes the challenges of Nigeria's political development from the point of view of someone who was directly involved. Beckoned to Serve is a successful autobiography. For the first time, the reader can see Shagari as he truly is, outside the golden cage of State House. The book is highly recommended to general and specialist readers who are interested in the study of antecedents, experiences and contributions of democrats, nationalists and public Officers.